Between the crosses, row on row……. Here, when the national anthems are played, the music starts with the British National Anthem, God Save the Queen and ends with the French National Anthem, the Marseillaise. Sadly, no-one sings the words now but I am sure many do so internally. I sing under my breath, feel a rush of emotion and a sudden clearing of the throat. Both British and French war veterans, les anciens/ennes combatants/tes, dignified with their medals, stand apart from the rest of us as an honoured group. 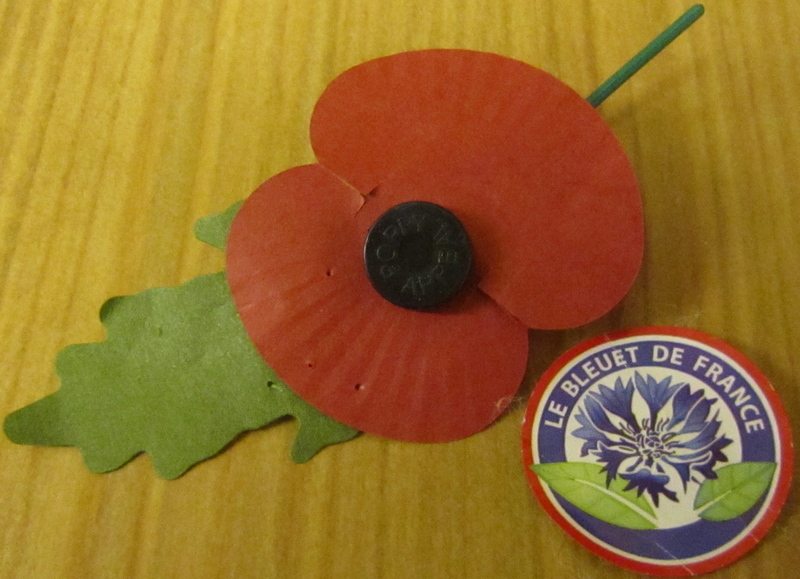 Everyone in attendance wears either the red poppy of the British Red Cross or the cornflower; Le Bleuet – since 1920 the official French symbol which recognizes those who died for France. Some people wear both. These two floral symbols originate from the First World War when the red poppies and blue cornflowers continued to grow on the northern French battlefields in land devastated by shell bombardments. This year it was a cool, blue sky day and the national and regimental flags fluttered in the breeze. After about 40 minutes, the secular ceremony was over and the mayor invited all present to enjoy a Vin D’Honneur in the Salle Des Fetes – the social events room for the village. This practice of a Vin D’Honneur always seems so civilized. We enter the Salle des Fêtes and see the mayor and councillors serving wine to the village community. It’s a good opportunity for everyone to get together and also talk to the mayor and councillors informally if they wish. 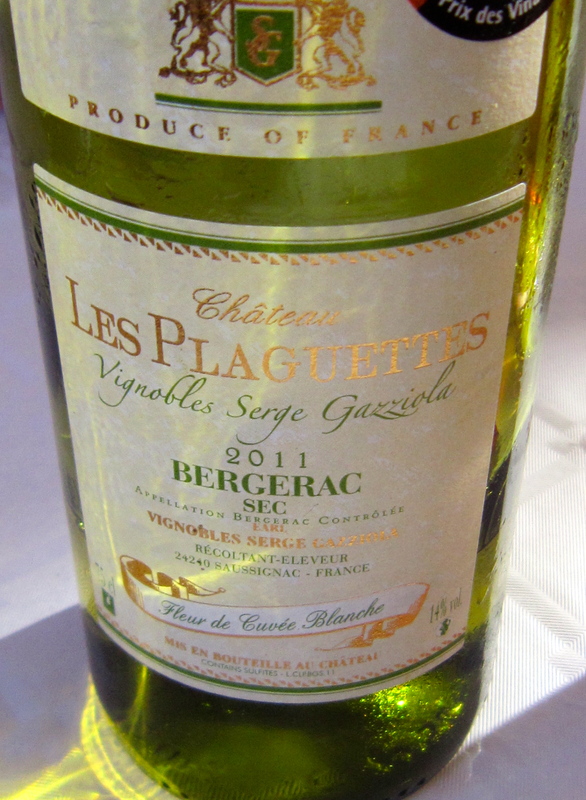 Wine and soft drinks are poured and this day the white wine is a 2011 Bergerac Sec Fleur de Cuvée Blanche from Chateau Les Plaguettes where Serge Gazziola, a well known wine maker in the area, is the proprietor. This is an award winning Sauvignon Blanc, pale yellow in colour, aromatic and very refreshing. Wine is such a flexible beverage. It’s present at most events where people gather together whether to celebrate or commemorate, as on this occasion of Remembrance Day. 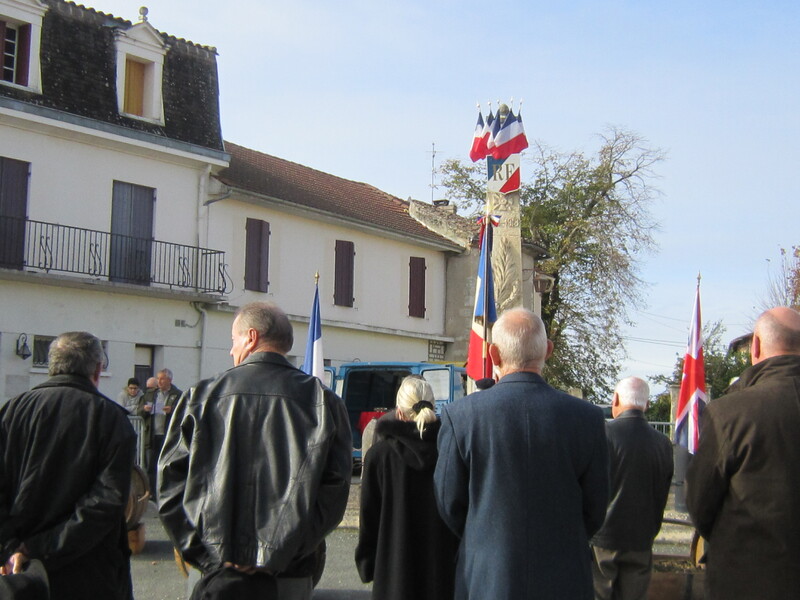 This entry was posted in culture, French Wines, wine tasting and tagged Armistice Day, Bergerac wine region, Chateau Les Plaguettes, Dordogne, French wine tourism, history, Remembrance Day, South West France, wine tasting notes by elizabethsvines. Bookmark the permalink. Thank you Liz for this touching description of the ceremony and the social event in which the wine was served. It confirms you as a gifted writer, in additional to being a knowledgeable sommelier! Thank you, Peter, for your kind comments. It’s very good of you to write to me. I enjoy sharing these wine experiences. Hi, Peter, Thanks for your today’s comment re the Wine post. Apologies – the posting was in error. 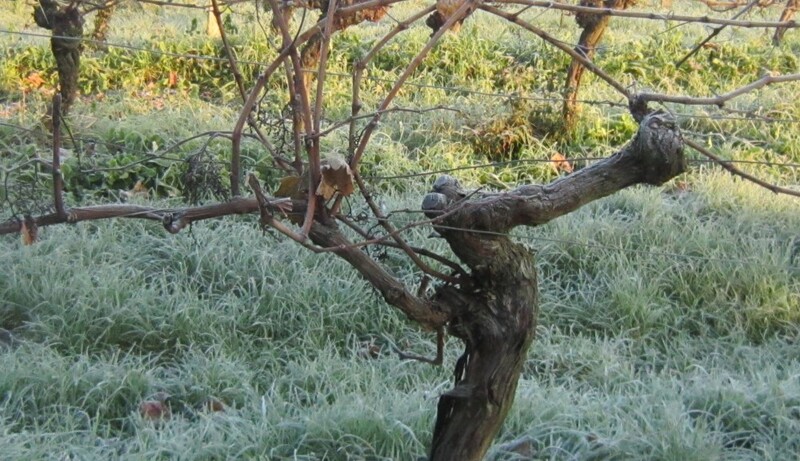 My Christmas greetings were in the “Jack Frost in the Vineyards post”! I hope you had a wonderful Christmas and all best wishes for 2014. Very nicely said, Liz, and perfect timing. A memorable experience made even more so with this lovely sounding Sauvignon Blanc.